Francis Newton Souza was one of modern India’s leaders of art and is known for his organic and complex growth in his works. In 1976, Souza migrated to New York and redefined his style of art. It was there that he developed his style of bold lines and cross hatchings. Souza was known for his head portraits and also went on to use a chemical alteration and mixed media on posters and magazine covers. The chemical alterations was a method by which he used a chemical solvent on printed paper without destroying the surface. The ‘Souza head’ became one of his signature styles where he depicted a distorted head. 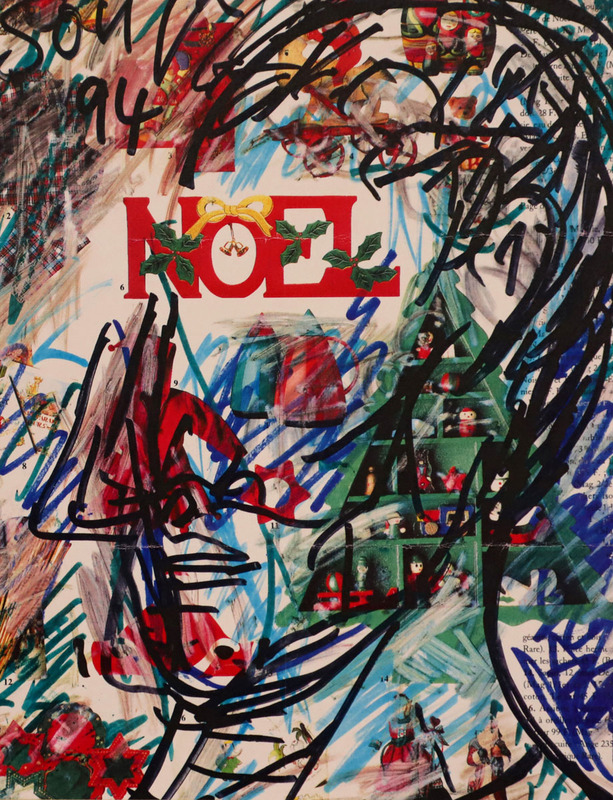 Here, we can see Souza’s individuality defined and established with a felt pen and with chemical alterations on a christmas poster .